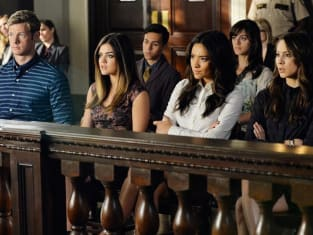 On Pretty Little Liars Season 5 Episode 23, Alison's trial got underway, with the typically confident Queen Bee suddenly not so confident about her fate. That's what happens when the big day finally arrives. While Alison was concerned about what the future would bring her, Spencer, Aria, Emily and Caleb had their own mission mind: they went in search for information to clear Hanna, who remained behind bars. 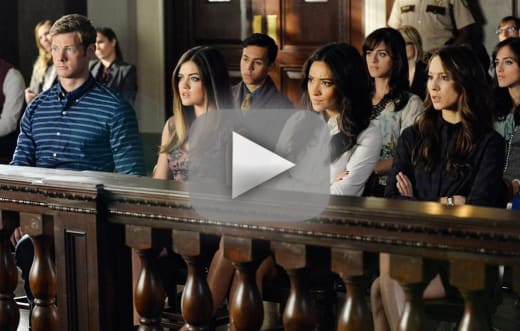 How did events in Rosewood transpire this week? Find out by following the prompts of this video when you watch Pretty Little Liars online.